Today I bring you another installment in the Craft Lightning challenge, I have joined up with some amazing bloggers to bring you craft projects that can be done in 15 minutes or less. 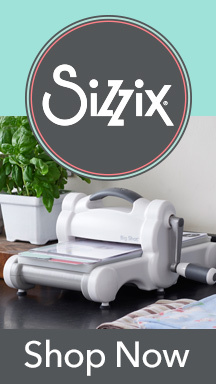 The theme of this craft lightning challenge is Cricut machines, we have each used one of our Cricut machines to bring you these quick crafts projects that are holiday based. 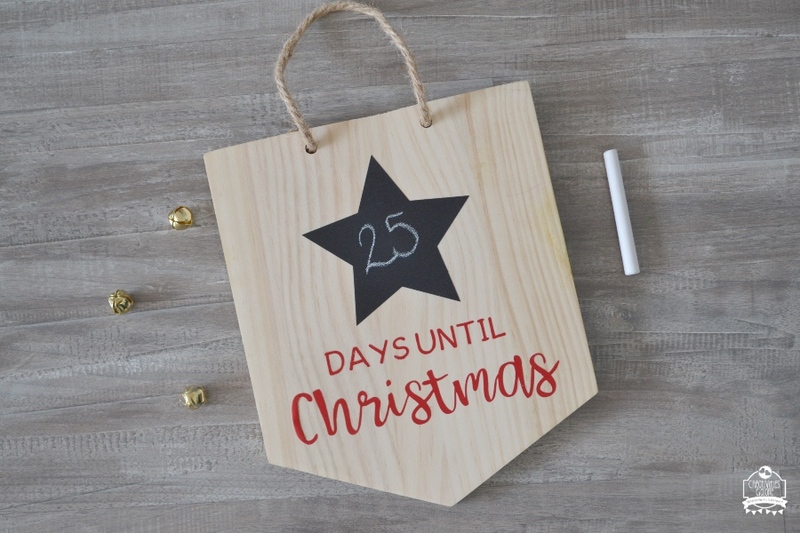 The craft that I created was a DIY Christmas countdown sign out of a piece of wood and two sorts of vinyls. One of the thing’s we look forward to during the Summer besides lounging or hitting the beach is shark week. My boys always wait for it with such anticipation and this year is no exception. The other day I was at the Joann craft store and saw they had shirts on sale, right away the boys asked if I could make them a shark t-shirt. Of course I said yes and we snagged up some shirts so I could customize them at home. Today I will show you just how easy it is to customize your very own shark t-shirt and as part of the Craft Lightning Challenge this project will and can be done in under 15 minutes. 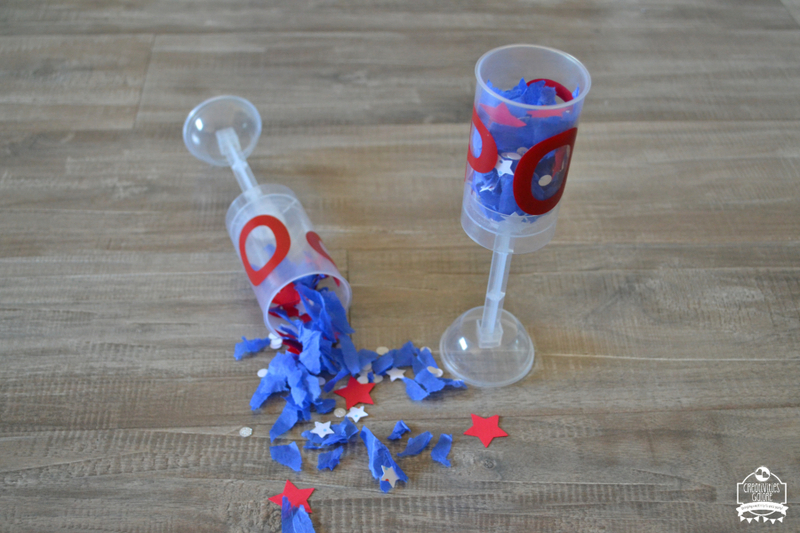 I am so excited to share the DIY patriotic confetti push pop with you because it was so fun to make. Not only was it fun to make but it was fun to pop them outside. If you didn’t read yesterday’s post about my Patriotic Tablescape then you might not know that this week on the blog is Patriotic week. I am going to be sharing a lot of red, white, and blue inspiration. 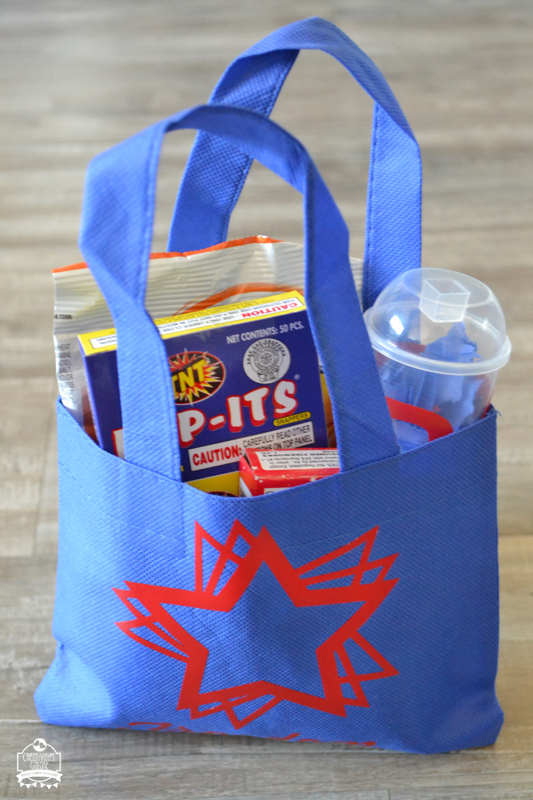 Today in the series I am sharing a Patriotic favor bag. Who is excited for Summer vacation? I am raising two hands over here I love Summer and all the fun activities that we get to enjoy. 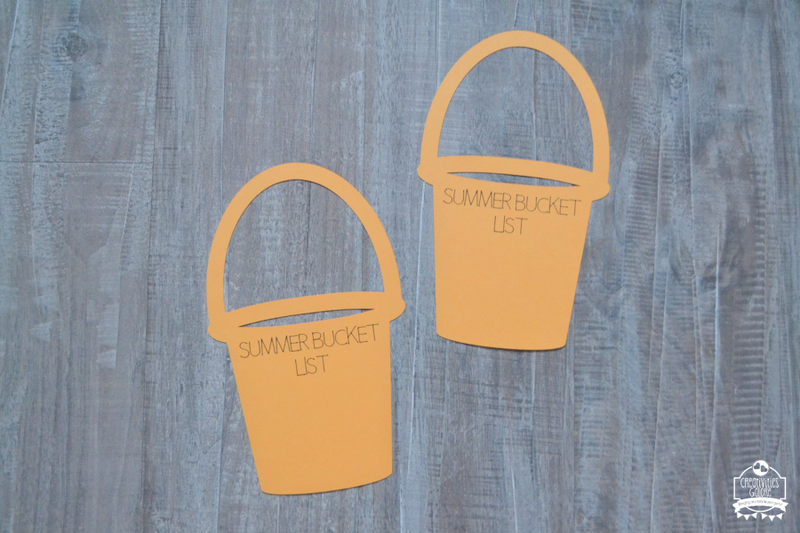 For the past couple of years I have let my son’s create a Summer bucket list but this year I used my Cricut to make it a little more creative.